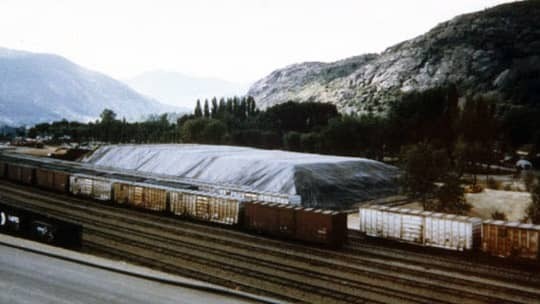 Bulk ore is protected from rain by the use of Seaman geomembrane in British Columbia. In this application in British Columbia, bulk ore is protected from rain by the use of this Seaman geomembrane. Thermal expansion-contraction, puncture, and other physical concerns are also minimized in this application.